I was looking back through my posts and was surprised to see that I never talked about one of the best things I’ve done recently. 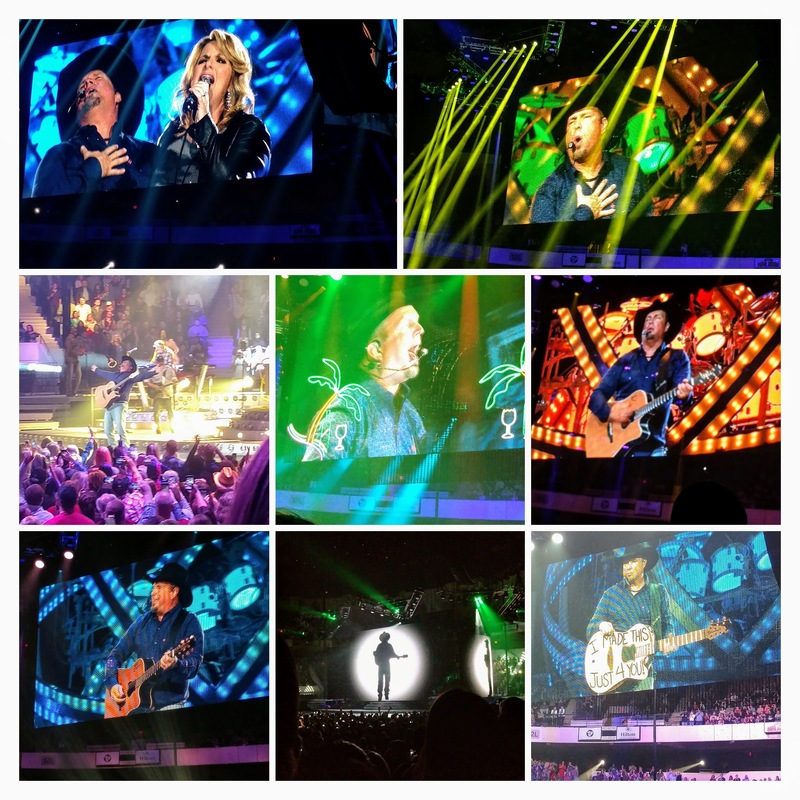 Garth Brooks and Trisha Yearwood in Richmond, Virginia. This was the first time Garth went on tour in 13-years, and despite rising costs and the ability to raise ticket prices from when he last went on the road, the concept for his shows remained the same. One price, no matter where you sit in the venue, which led to me having front row of a section off the floor, the same price as people sitting in the top tier behind the stage. But because of this, the tour has set many records, including most shows, general attendance, and despite one price has become one of the highest grossing tours of all time. The crowd at the Richmond Coliseum was fantastic, from young to old, men and women, all singing along, and the performers fully interacted with the crowd. This included a little kid dressed like Garth with a fake cardboard guitar, trading his with Garth for the real deal. The concert itself was outstanding. Despite having a recent album, he played mostly his older material, telling people he knows why they came, and what they really want to hear. On that note, he actually performed the full version of Friends In Low Places for the last night in town, and he let the crowd take it away on some songs. Trisha Yearwood comes out for a duet of In Another’s Eyes before taking over and giving great audience participation for She’s In Love With The Boy. During the encore, he ventures into songs by other groups, including Billy Joel’s Shameless, and performing Callin Baton Rouge. If I went to another Garth Brooks concert…I’d want to do it in Richmond all over again.